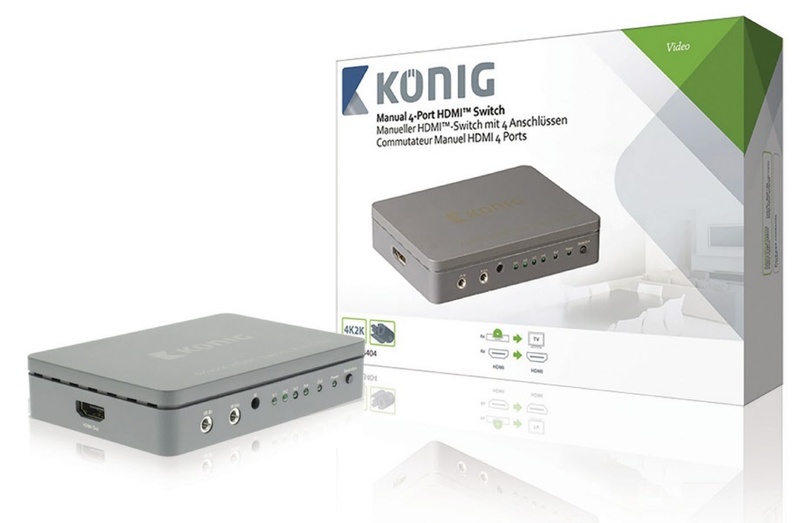 Connect up to 4 different HDMI devices to a flat screen TV. The buttons on the front panel enable you to change the desired input device. A LED indicates which source device is selected. 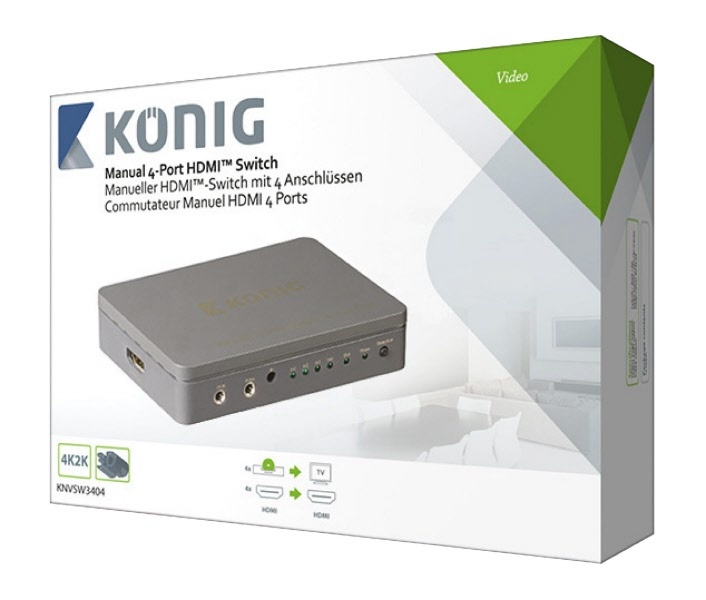 The switch supports HDMI High Speed standard and is fully compatible with 4K, Deep Colour and 3D technology. Power taken from HDMI source, no power supply required.